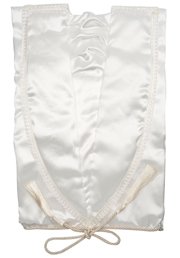 Satin unisex cavat L760 gown with a high sheen finish. Priced individually and sold in packs of 5 gowns. White, Pink, Blue, Cream, Navy, Maroon, Lilac, Peach, Oyster, Red, Silver/Grey, Mint Green and Bottle Green. 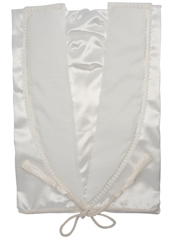 Satin unisex cravat 602 gown with a high sheen finish and decorative lapel and cuff. Priced individually and sold in packs of 5 gowns. 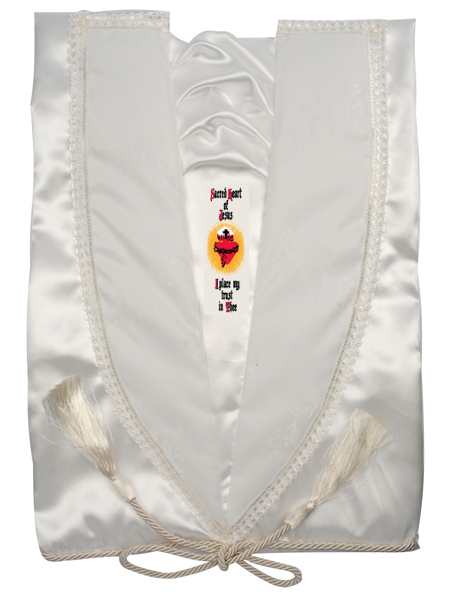 High sheen satin unisex cravat 602 gown with a decorative lapel and cuffs and roman catholic "Sacred Heart" decoration on the front of the gown. Priced individually and sold in packs of 5 gowns. Available in white with a 9" or 12 " frill. 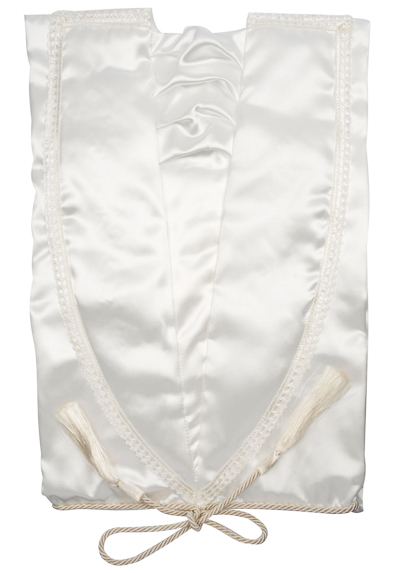 Satin 602 in a robe style with sewn in sleeves and a decorative lapel and cuff. Priced individually and sold in packs of 5 robes. Available with a 9" or 12" frill and in the following colours: White, Pink, Blue, Cream and Oyster. High sheen satin unisex cravat 602 in a robe style with sewn in sleeves and decorative lapel and cuffs. 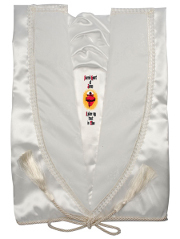 Includes roman catholic "Sacred Heart" decoration on the front of the robe. Priced individually and sold in packs of 5 robes. Available in white with a 9" or 12 " frill.